Happy Thursday! It has been a week, let me tell you. I have been going a mile a minute it seems like and I am ready for the weekend to get here! Ok, so yes I know I usually share a thrifting tip on Thursday's but today it is going to be a little different. 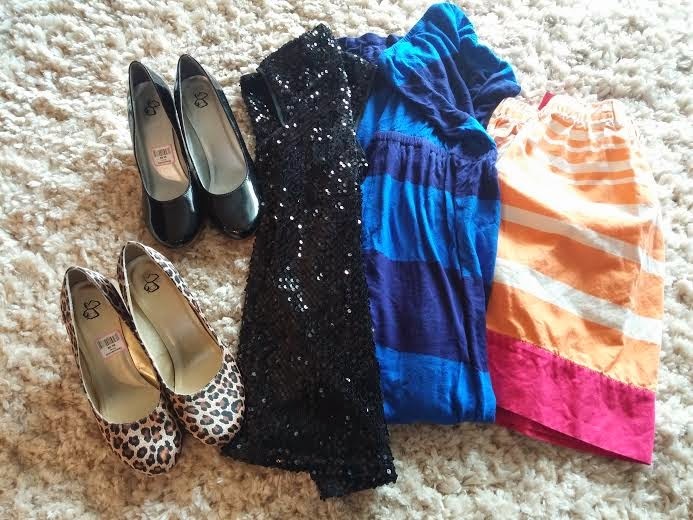 I want to share with you one of the places I shop at the most for thrift clothes and why. I hope your good with that! I get asked all the time about what stores I buy my clothes at. And the honest truth is that the majority of them come from the Goodwill. I still shop at other thrift and second hand stores too, don't get me wrong. I love finding cute, and collectic stores that have unique items! But the main reason I shop at Goodwill the most often is because they tend to have more current fashion trend pieces. Why is this, you say? Think about when you clear out your closet. Do you gather all your clothes that don't fit or you just don't wear that often and drive them to some hole in the wall thrift store? If you are half as busy as me I don't think you do. Goodwill has drop locations all over most cities, so when people are looking to get rid of stuff they quickly unload everything at those locations. It is easy and convenient for them. Because of that I always have the best luck scoring designer and brand name items for very cheap at the Goodwill. And I love that! Check out a few recent finds I got at my local Goodwill over last weekend. 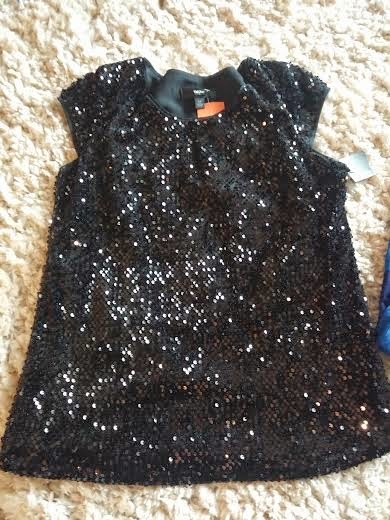 The sequin top and the skirt are Merona brand from Target. All red tags in the store were half off and so I got both the skirt and top for only $2.00 each after that sale! 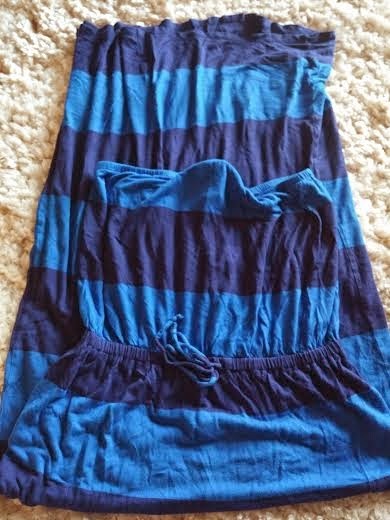 The maxi was only $3.00 and it is Old Navy brand. 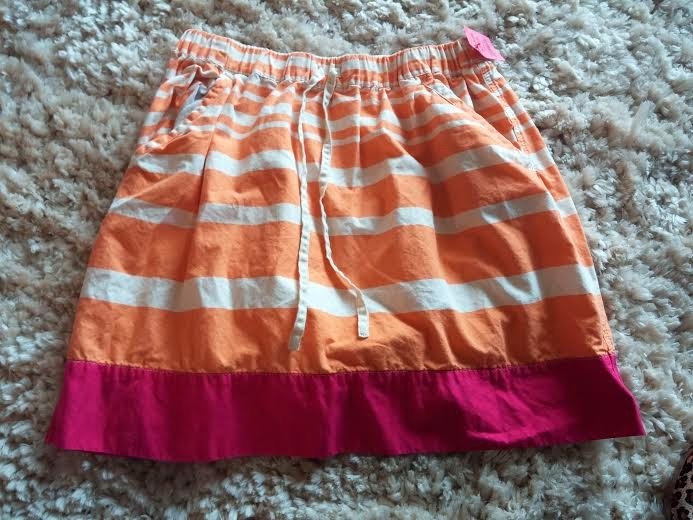 I was pretty excited when I found this because I needed more maxi's for the summer months. Shoes were $4.00 each. I have never heard of the shoe brand before but they are cute and comfy. That is what counts! I am keeping an eye out for pieces that will work for an Easter outfit. Easter has always been big in my family and my mom made us kids dress to the nines. I have carried that into my adult life but allow myself to be a little more casual. I still have to dress up more on Easter Sunday then I normally do, so hopefully I can find something that will work. We shall see! Hope you have a Thrifty Thursday! Really? I was excited when I found it. Just have to find some cute ways to style it now.